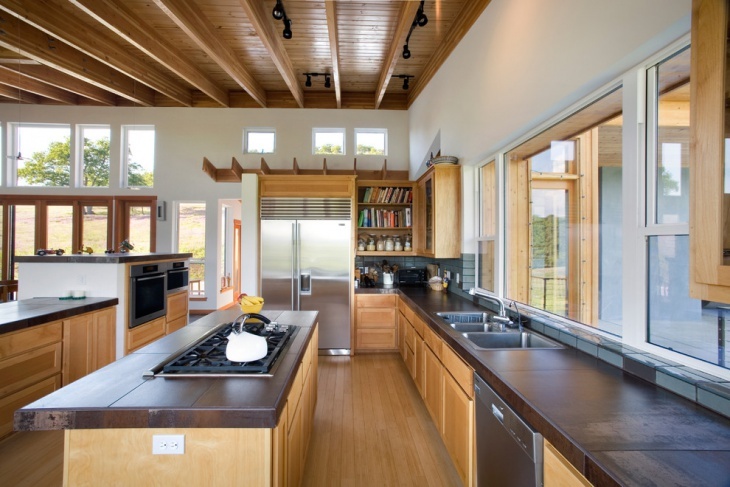 Rectangular kitchen layout is adopted in most contemporary styled homes. There can be different styles even in rectangular kitchens depending upon the space availability. 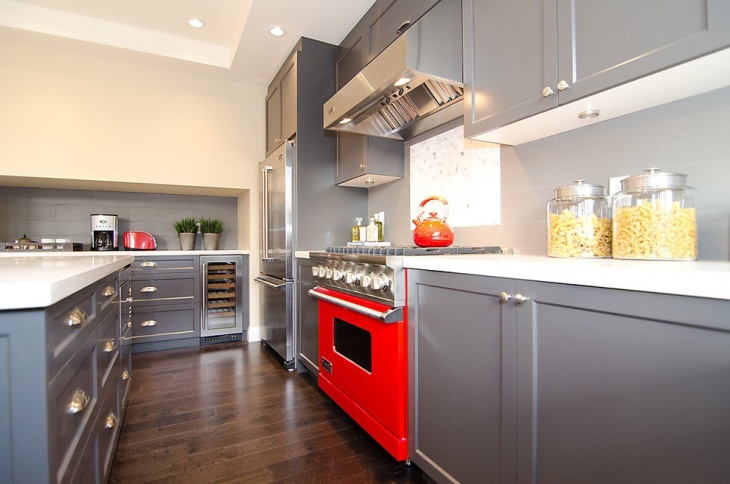 Factors such as the color effects, design elements and so on affect widely in the look and feel of the kitchen. 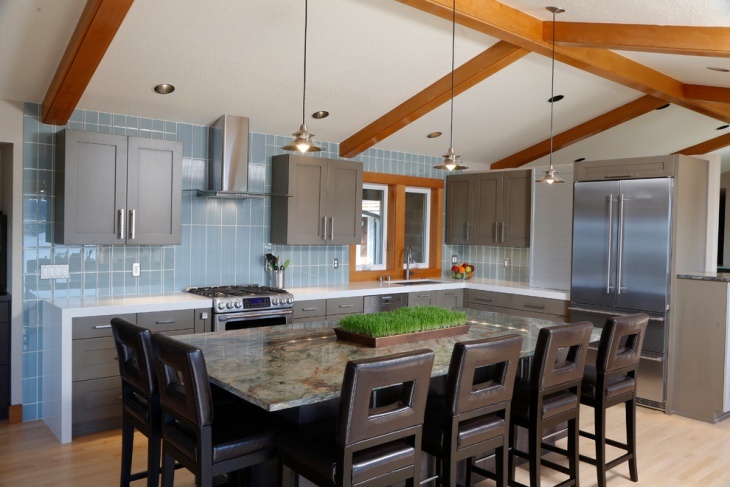 This is a small rectangular kitchen built and designed in a modern style. The space is limited in this kitchen and thus the rectangular style is highly functional. 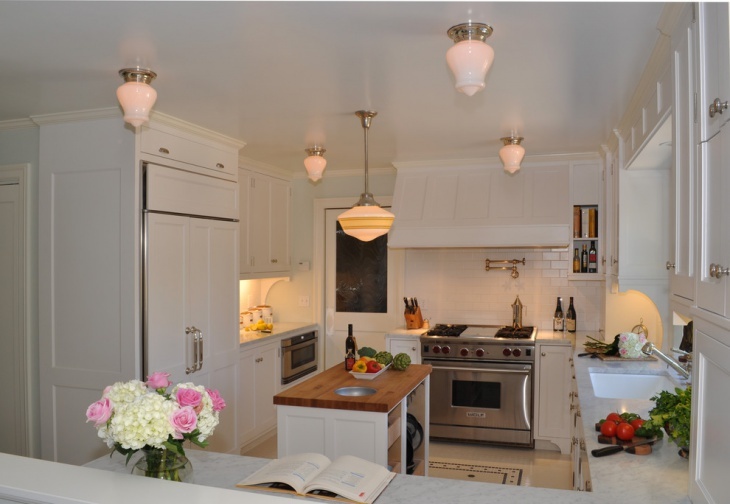 It features white walls with hanging pendant lights and an island table with a wooden countertop. 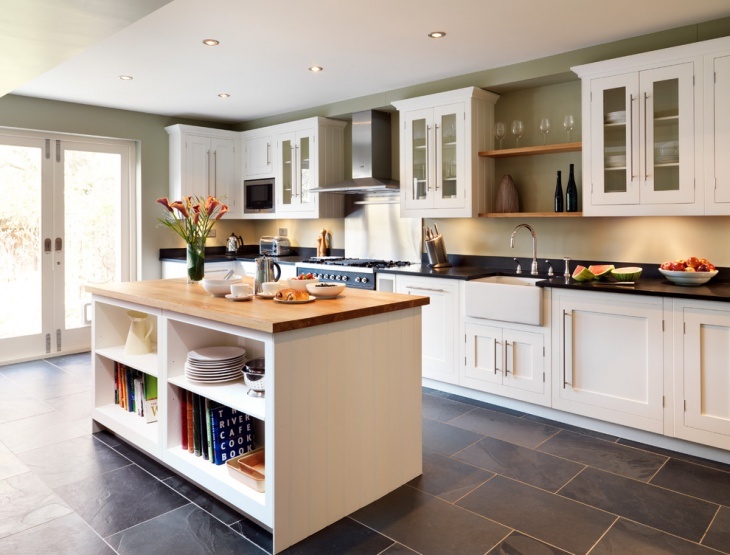 This is another traditional kitchen idea having a narrow rectangular design. 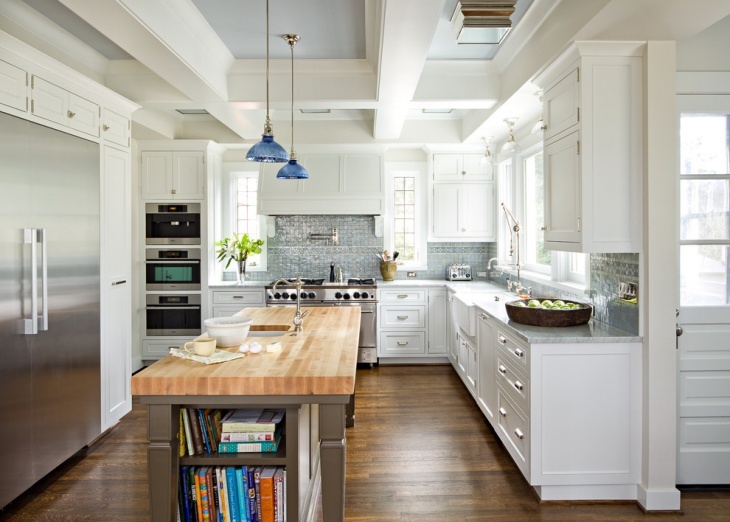 It is a white kitchen with a beautiful silver backsplash, wooden countertop in the island, hardwood flooring and white cabinets, all styled in a rectangular layout. 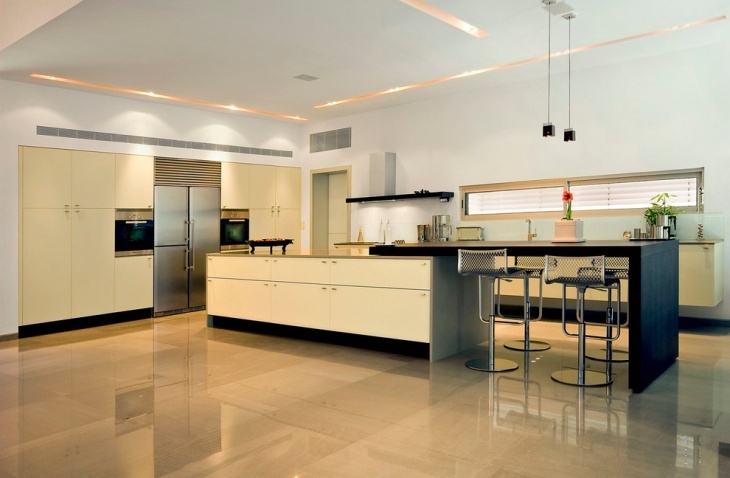 This is a highly functional modern kitchen with a rectangular design layout. 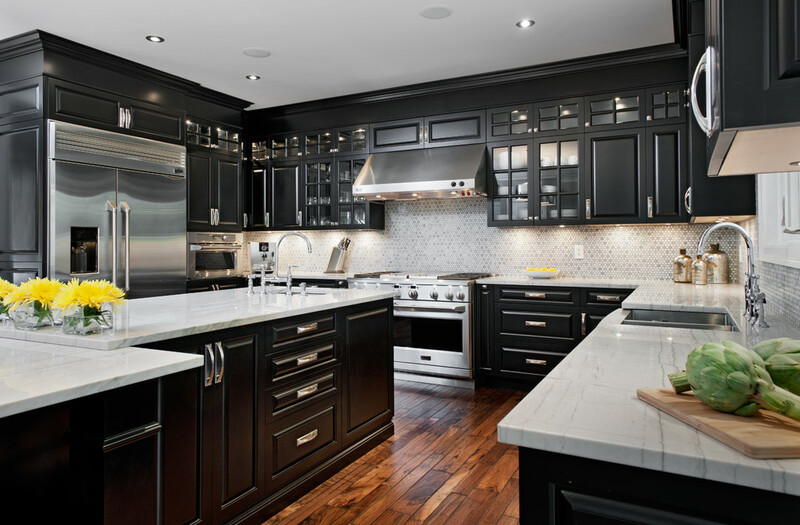 It features dark black tile flooring that matches with the matte black backsplash. Along with that, it has white cabinetry, glass top round dining table with casual white dining chairs. This is a traditional rectangular kitchen that features a large square shape dining table placed in the center of the kitchen. 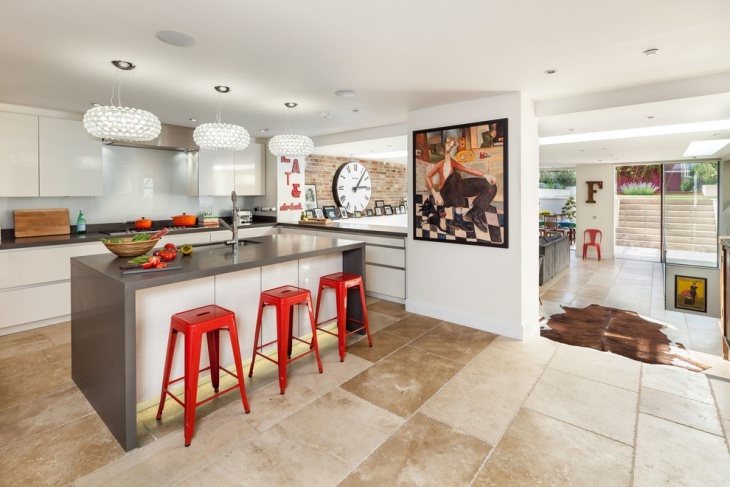 More than rectangular, this kitchen has an L-shaped layout. 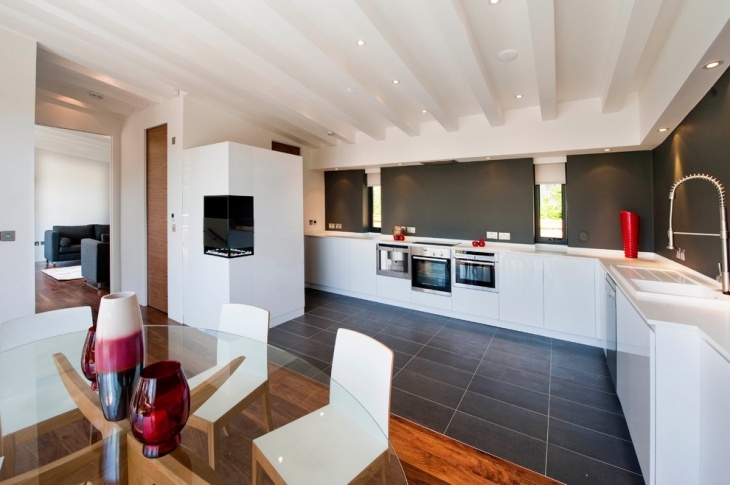 The kitchen has simple and modern colors used that add to the soft and contemporary feel of the space. 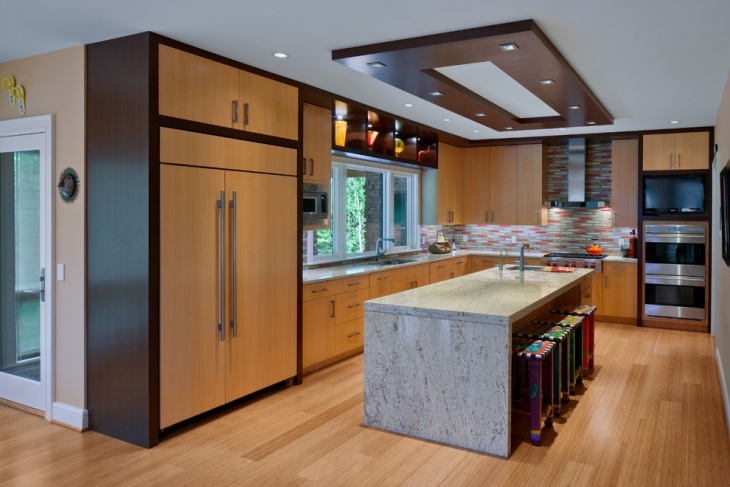 This is a large transitional kitchen with a rectangular layout featuring wooden flooring, cabinets, and island. 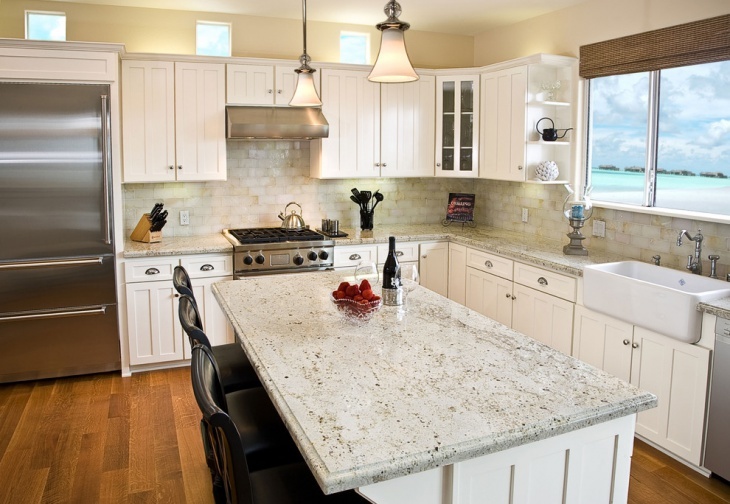 The island has a beautiful white granite countertop and the other side of the cabinets has an all white color with a brown countertop. This is a very large and spacious kitchen. 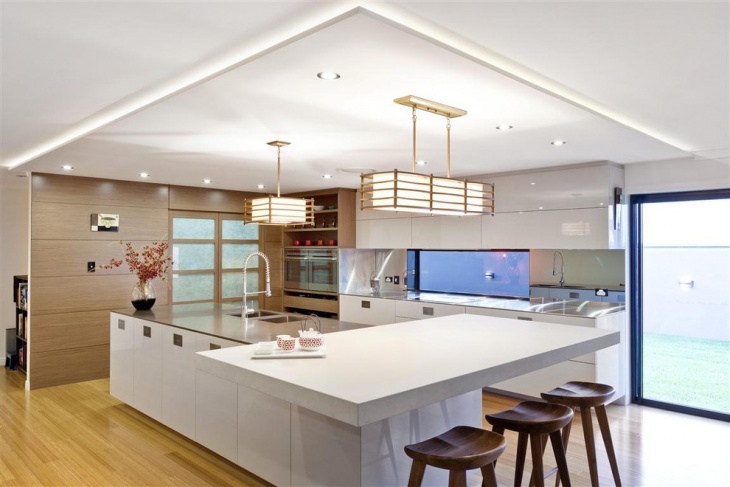 This beautiful contemporary kitchen in rectangular layout features ceiling lights that are very functional and have a modern design. The lighting is fixed right above the island in a brown border fixed above that. 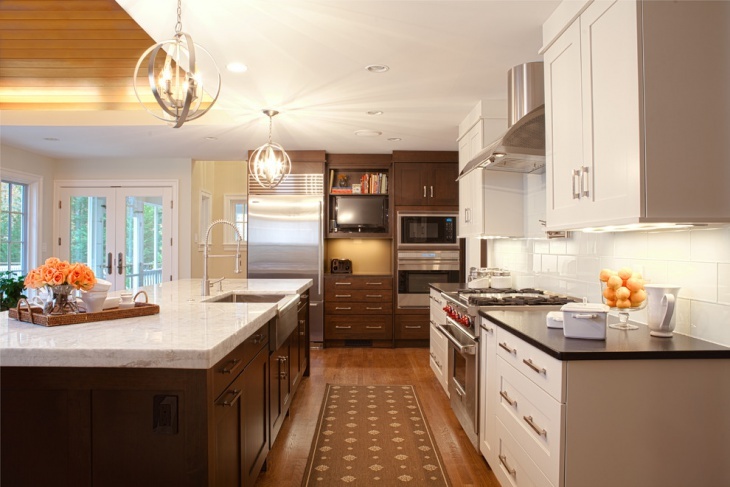 The light wooden cabinets are a major highlight, adding attractiveness to the kitchen. 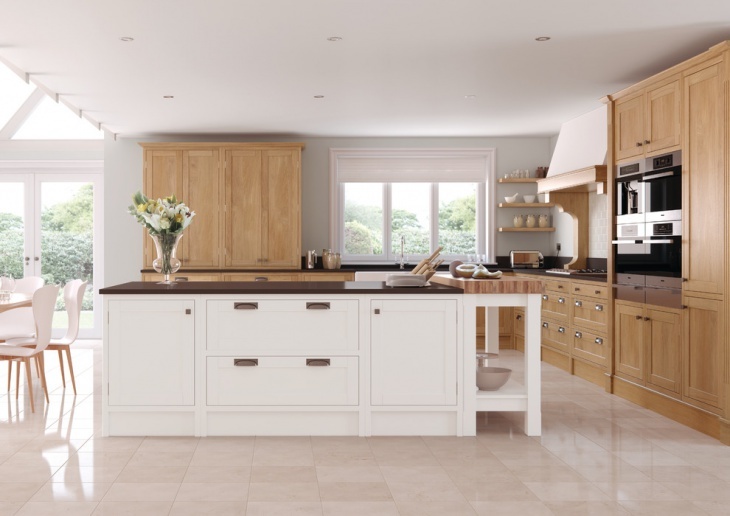 This is a contemporary kitchen with a mix of rustic and traditional design. It features light wooden cabinets all over the kitchen with a three bowl sink. 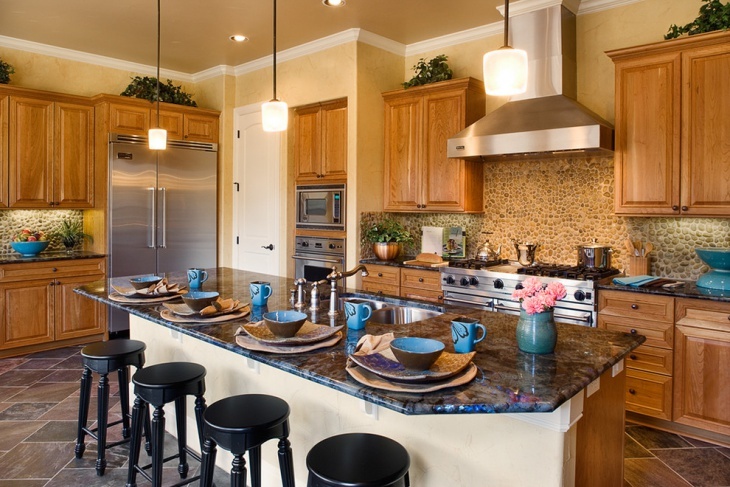 The countertops are of a dark chocolate brown tile and match well with the light wood cabinets. Rectangular kitchens are very functional, small and efficient. They are generally used in small spaces and modern homes but the same design and layout is adapted in several other types of spaces such as traditional as well as large and transitional. The above rectangular kitchen ideas are exclusively selected for you to draw inspiration from. You could incorporate any one or a mix of all of the designs and come up with one unique concept for your space.